Illustrated Tang Poems in Five-Syllable Lines - Handsome design from Hokusai's five-volumes series "Illustrated Tang Poems in Five-Syllable Lines" (Ehon Toshisen gogonritsu hairitsu). 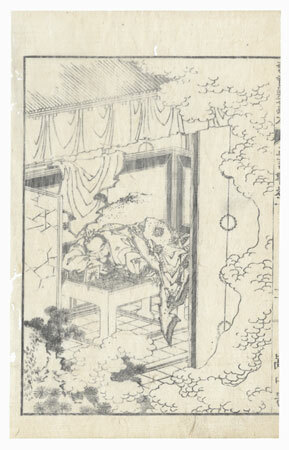 Published in 1833, these prints illustrate famous Chinese poems from the Tang Dynasty [618-907]. Hokusai's black and white woodblocks are beautifully detailed, creating lyrical and evocative settings. Images include elegant palaces, travelers making their way through the countryside, warriors in battle or relaxing, and even a few kacho-e or birds and flowers designs. 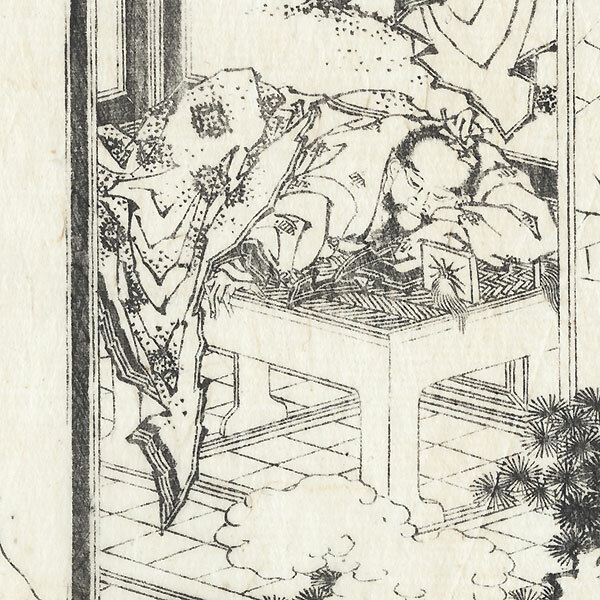 Hokusai illustrated more than 250 books in his lifetime, and these interesting scenes display his masterful compositions and skillful draftsmanship. 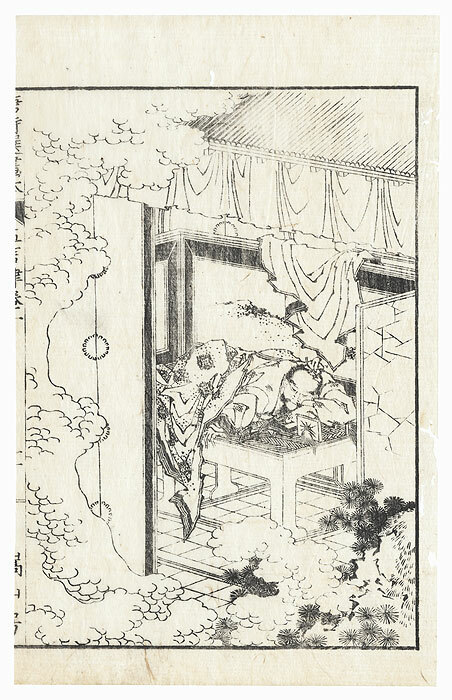 A rarely seen series and a nice opportunity to collect an original Hokusai woodblock. Condition - This print with good detail as shown. Wormholes. A few creases. A few prints have slight soiling or a few spots. Please see photos for details.